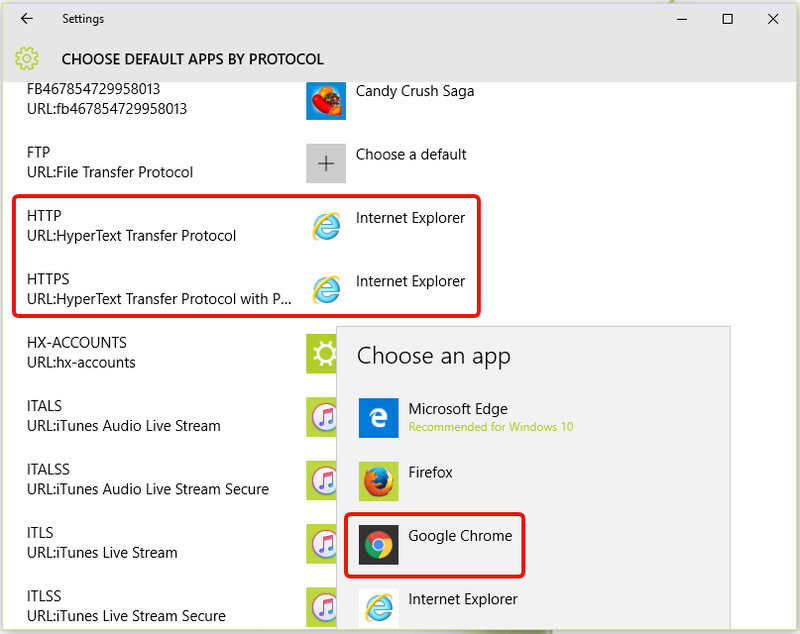 Please check if the HTTP and HTTPS protocols are associated with Chrome by default on your computer. Click Start > Default Programs > Associate a file type or protocol with a program. Click "HTTP" and "HTTPS", then click Change program. Click Google Chrome or other web browser that you want to use. Click Control Panel > Default Programs > Associate a file type or protocol with a program. Click Start >Settings > System > Default apps > Choose default apps by protocol. On the right of "HTTP" and "HTTPS", choose Google Chrome or other web browser that you want to use to be shown. How can I change the browser which opens when capturing with Gyazo? How can I capture a screenshot without opening a new tab in my browser?